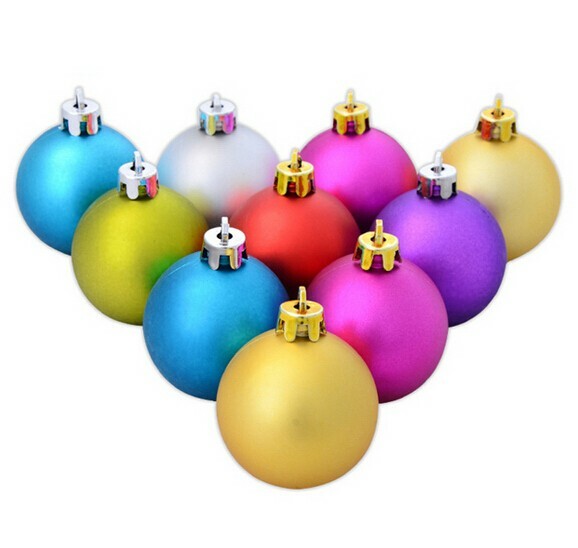 These Matte Christmas Balls are made of plastic material, six colors available. These Christmas Ball Ornaments are great promotional gifts for the Christmas holiday. They can be used as the outdoor and indoor decoration when hung on the Christmas trees for the holiday, also they are the popular toys for children. Your company name, logo, slogan or message can be imprinted on the ball. 2 3/8" x 2 3/8"
Available rush production time: 12	working days.